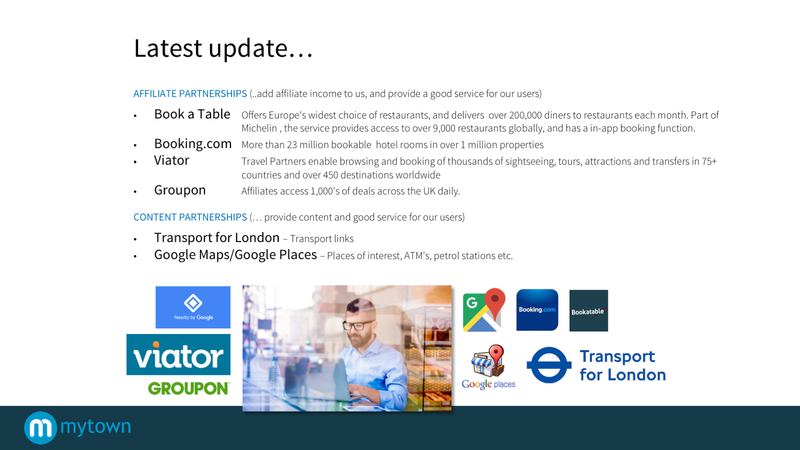 Further to previous communications on this exciting company we have received a new and condensed presentation which has now been made public on AngelEQT.COM. One of the more important updates in the new presentation is the conclusion of agreements with content and affiliate partners. These partners will greatly enhance the consumer service offer and add more revenue streams to the company. Go to www.angeleqt.com to participate in this investment opportunity and to access all information. RISK WARNING This investment opportunity carries a high degree of risk. Your capital is at risk which can include loss of investment and dilution, illiquidity, lack of dividends and it should be done only as part of a diversified portfolio. This financial promotion has been approved by Angel Corporate Finance Ltd; a firm authorised and regulated by the Financial Conduct Authority in the UK.